Sack Barrow explores a small family run factory in the outskirts of London. It was set up in 1931 to provide work for limbless and disabled ex-servicemen until the factory finally went into liquidation this year. 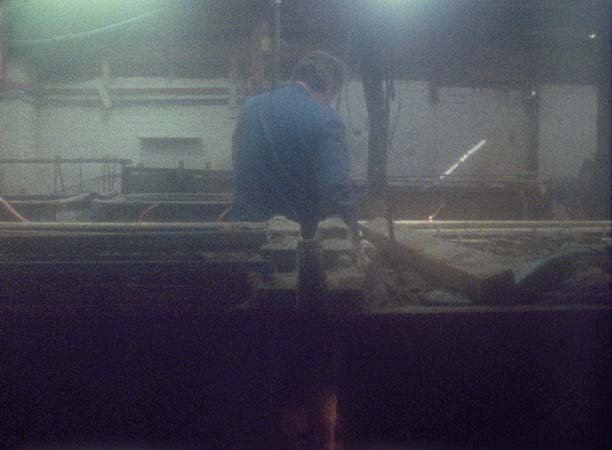 The film observes the environment and daily routines of the final month of the six workers. Years of miniature chemical and mineral processes transform the space into another world. Towards the end an extract of The Green Child by Herbert Read describes the descent into a watery cave world.